Riverbend Sport & Social Club is Des Moines' first sport and social organization. We are excited to provide the young adults of the metro area recreational sports opportunities and fun related social events. With a motto of competition, connection, collaboration & compassion we are thrilled to provide sports leagues, social events, networking opportunities, and most importantly fundraising events and service projects that will directly give back to Des Moines and surrounding communities. I'm from the Des Moines area and moved away 10 years ago to pursue job, life, and social experience. This summer, upon a trip back home to Des Moines, I realized there were no opportunities for young adults to enjoy a social sports atmosphere to connect them to the city in which they live. 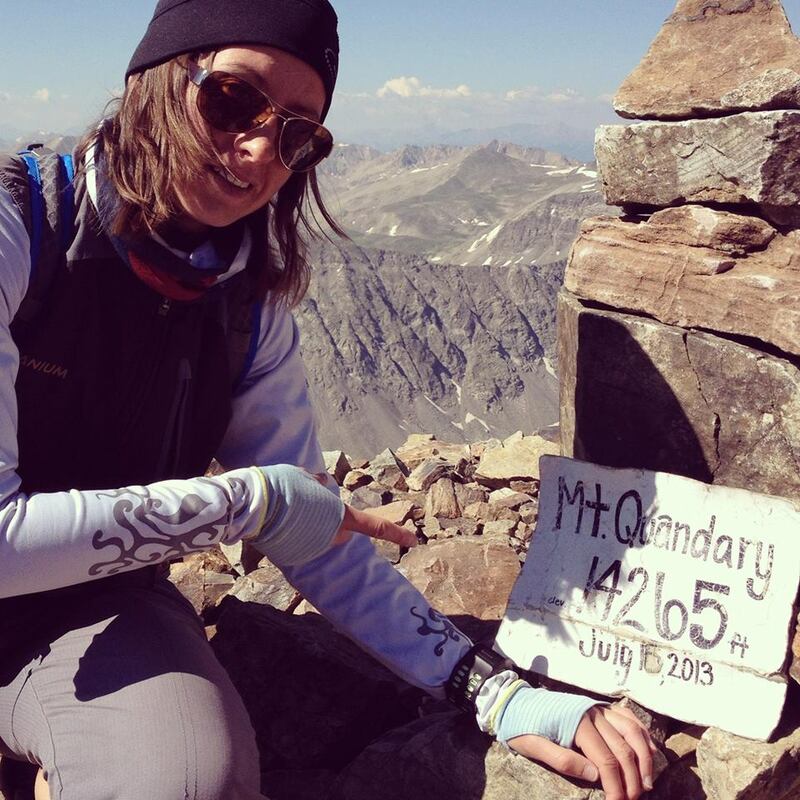 Katy Doughty - I grew up in southeast Iowa and spent lots of time in Des Moines growing up. After taking a trip home to DSM for a family reunion in the summer of 2016, I realized very quickly the need for something to connect Des Moines' young professionals to their town. And so, RBSSC was born! 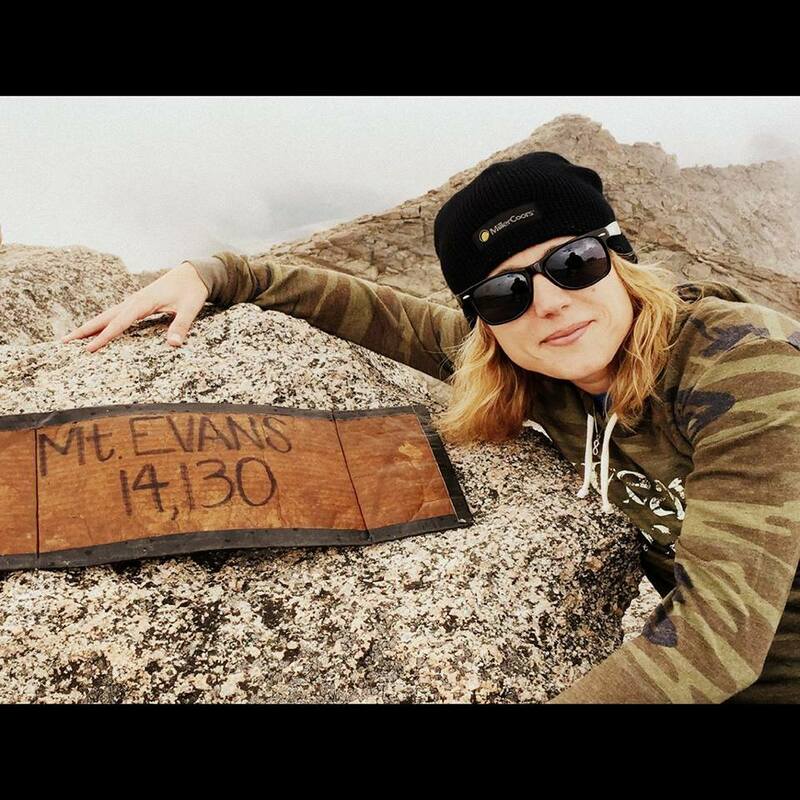 I've lived in Denver, CO and Seattle, WA and have gained friendships by playing in leagues and going to social events through local sport & social clubs. It's going to be an awesome adventure bringing the things that connected me to those cities and people to great city of Des Moines. Angela Melito - I am excited about the opportunities for RBSSC in the Des Moines and surrounding areas. I have lived in northern California, Denver, CO, and the DC area and have found lifelong friends and comradery in each place by joining clubs just like RBSSC. To feel connected to the people and the place in which you live is the best feeling and I understand the need for the young professionals of Des Moines to grab hold of their love for the awesome town in which they live. 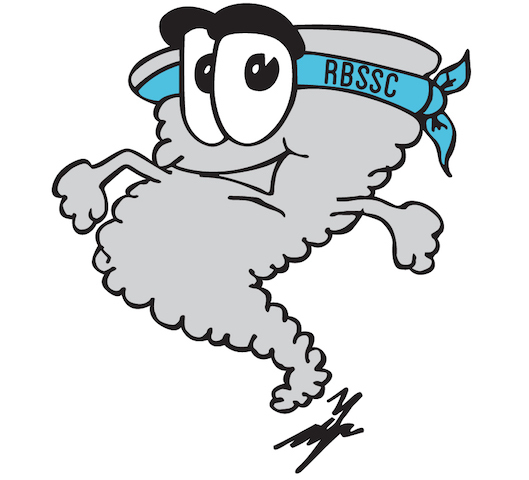 Tommy-O the Tornado - Tommy-O joined the RBSSC crew as an excited mascot in the fall of 2016. Tommy-O will continue to provide encouragement and information to our Riverbend Sport & Social Club patrons. Look for updates swirling to you on our Facebook page and Riverbend Sport & Social Club website. Tommy-O can be seen playing all our sports! From scoring a goal, to spinning a basketball on his finger like a professional, zenning out at yoga, and even nailing a field goal; he's the most talented tornado we know!! 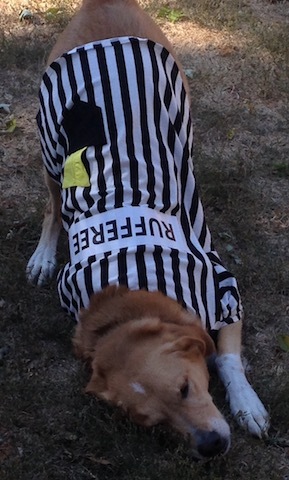 Boone the Rufferee - Boone will be assisting Katy & Angela in league operations with tail wags and paw high fives! You play with us, you'll get to see this Rufferee at fields, outdoor social events, and even hanging out at RBSSC service projects. Be sure to give him a few ear scratches...he will love you forever!! 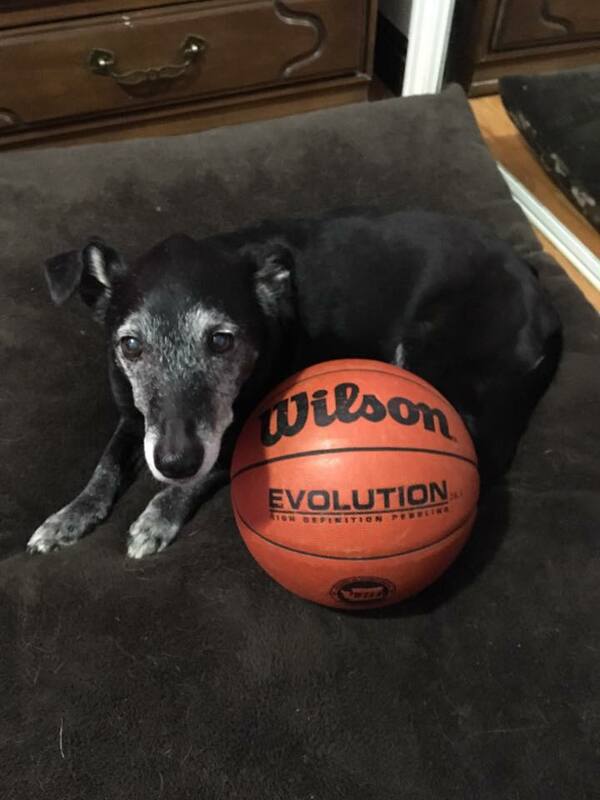 Scooby the Basketpawler - Scooby brings her RBSSC skills to the basketball court. She will cross you over, hit a step back jay, and defensive slide right into your heart. She's more of an office mascot so look for her hoop updates on the Riverbend Sport & Social Club Facebook page and on our website! !